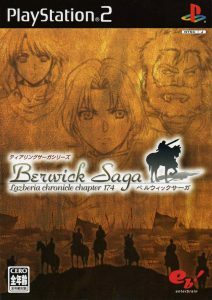 Berwick Saga Receives English Translation and Live Stream Now! If you haven’t heard or seen much of Kaga’s older work, then you may not be terribly familiar with his influence on Fire Emblem. He’s widely recognized as the father of the franchise, and after his last Fire Emblem title was released on the Super Nintendo, he did produce a few other games for the Playstation and Playstation 2. Among these is Berwick Saga, a 2005 JRPG featuring gameplay similar to Fire Emblem, but not completely…You’ll have to see what I mean by looking into the game’s mechanics, including its hexagonal play grid, among other features. Serenes Forest user Aethin has been hard at work, assembling a fantastic English translation of this Japanese-exclusive title for players to finally enjoy in our English-dominant region. He’s completed about 2/3 of the translation project (66.2% to be precise), and another Serenes Forest user Lord Raven has been working with Aethin as a player of the game to showcase it for the world to enjoy. I strongly suggest tuning into Lord Raven’s Twitch channel (Click there), where he and Aethin will be streaming the game live, and responding to Twitch Chat). If you miss the stream, you can still keep up with Aethin’s work and the translation here, in its SF thread. You are my gods now. Thank you sooooo much.